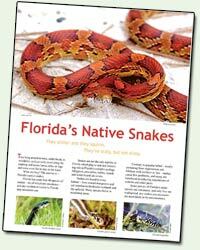 BRADENTON – There is certainly no shortage of snakes in Florida, as the state is home to more snakes than any other in the Southeast. This year, they seem to have come out of hiding earlier than normal, as some experts say the mild weather is to blame. For the past nine years, one wildlife educator has been working closely with many types of animals. “One of my main jobs is to go out and capture injured animals, and rehabilitate them and release them back to the wild,” says Damen Hurd, who works at the Wildlife, Inc. Education and Rehabilitation Center. 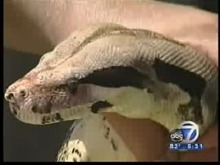 Hurd said that includes the slithering reptile that many hope to never find in their homes. “I have a ton of experience with snakes especially,” Hurd said. Especially with reports of snake sightings up already this year. “This year we have had a 70% increase of calls compared to last summer,” said Christy Norris, vice president of Nuisance Wildlife Removal. So far this year, 235 snake bites have been reported in Florida as of May, up from the average for the last four years at 220. “What’s happening is people are thinking that it’s not a poisonous snake, and it actually is and they don’t realize that,” Norris said. So the next time you see this creature chilling in your yard or house, it’s best to let them be. “Your best bet is to call you know a wildlife trapper that will come out, remove it, and take it to a safe habitat,” Norris said. It’s important to remember that snakes would rather flight than fight. They usually will give you an ample warning before choosing to bite, which is their defense mechanism.